Meet you neighbor Bekah Bailey. Bekah grew up in Oquawka and moved to Grand Rapids, Michigan, to attend Cornerstone University. She is now in the process of moving to Cedar Rapids, Iowa, for employment. Her first job is at Farm Financial Strategies in Cedar Rapids, Iowa. The company does estate planning, specifically for farmers and their families. Bekah will be entering numbers and creating estate plans for a couple of years and then she will transition into a full time representative for the company in this area. At that time she will acquire her own clients and create her own business. Bekah was born and raised on a farm near Oquawka. Her parents are Chuck and Gayle Bailey. Chuck is a farmer and Gayle does whatever Chuck needs help with as well as volunteering when she has the time. Since her parents are farmers, that is pretty much what she did growing up. She was home schooled from 5th grade through high school which left her extra time to help on the family farm. Bekah graduated from high school in 2003, a year early, simply because she was finished with her studies. 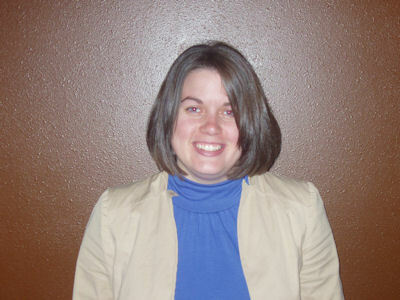 She then graduated from Cornerstone University, May 10, 2008, with a bachelor's degree in accounting and finance. Bekah has a younger sister Leah, who will be a junior at Cornerstone University with a major in social work. Brother, Kyle, will be a senior in high school and loves to play the guitar. Her grandmothers are Olive Bailey of Oquawka, and Bonnie Walker of Burlington, Iowa. Bekah says, "They are two people that are always on the move. Good luck trying to catch either of them at home." She enjoys volunteering at church with the junior high students. She also loves mentoring college women. Bekah has wonderful memories of their family vacations when she was growing up. While she was in high school they took several family vacations and she said, "they were always a lot of fun." The funniest thing was that they always had some sort of car trouble which resulted in her dad having to buy another vehicle. Their first vacation, they were in North Dakota (on route to Colorado) and had to buy a suburban to finish the trip. The next vacation Bekah remarked, "we did quite well until we were almost home. When we got to Fairfield, Iowa dad decided to buy a lawn mower (just to keep his record of buying things)." Those were memorable vacations, she will never forget.